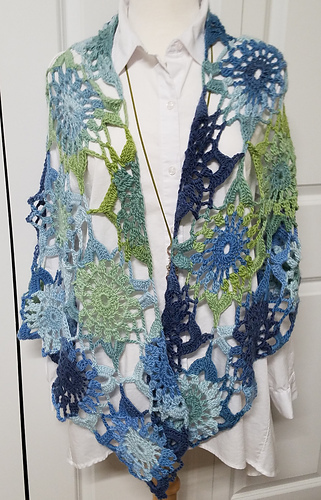 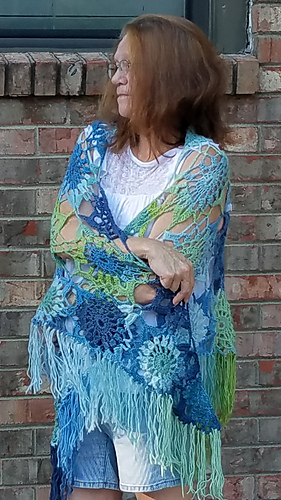 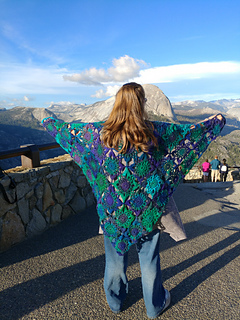 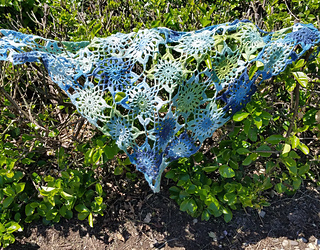 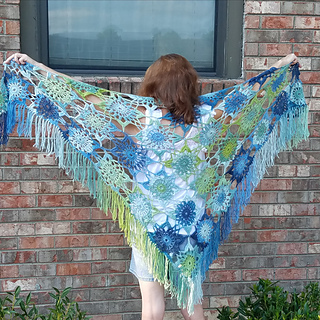 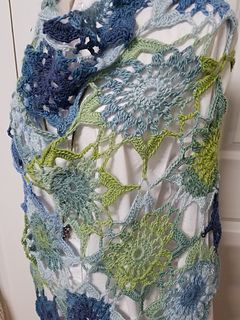 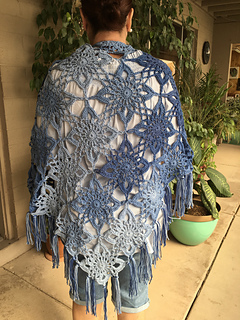 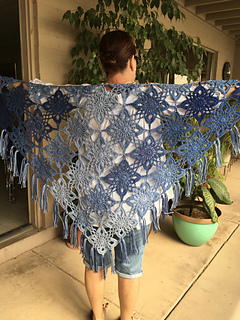 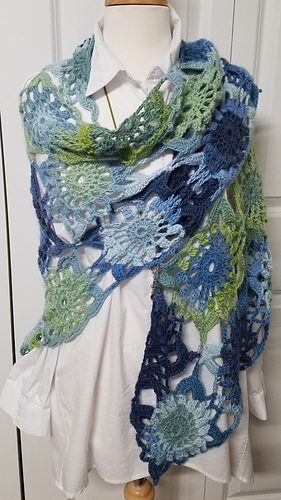 One full motif is 6" x 6"
Create your boho look with this shawl using the “join as you go” method. 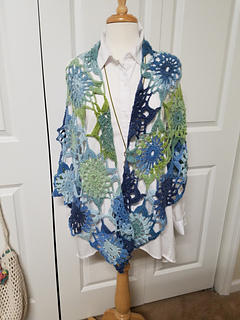 Looks great with or without fringe! 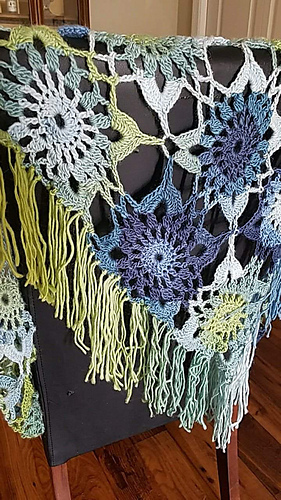 Hook size 5.5 mm (I) or size needed to obtain gauge.